It got me thinking pretty hard what title should I give to this post. When it comes to spending style, I like to buy cheap and practical stuff or maybe when things are a bit too cute to resist, but nonetheless, price is the main factor of me actual buying something. That's why I like places such as Daiso and Komonoya, at the price of RM5.90, I'm actually enjoying products that Japanese like to use/ practical stuff that you wouldn't find them else where. 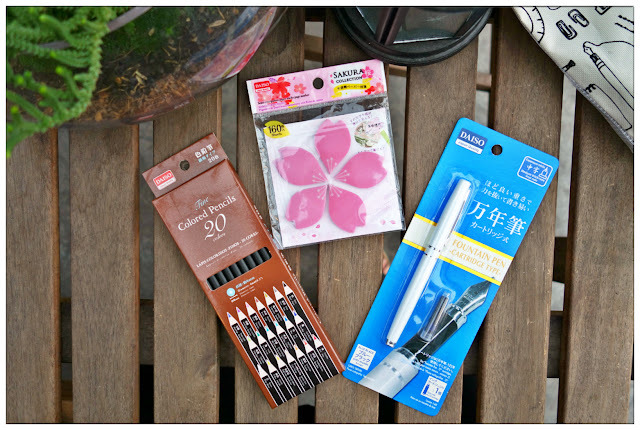 Each Daiso and Komonoya outlets carry different products, sometimes I feel like I'm a treasure hunter when I dive into the sea of Japanese products in these places, looking for things I want. Cute and practical stationeries, at RM5.90 each! 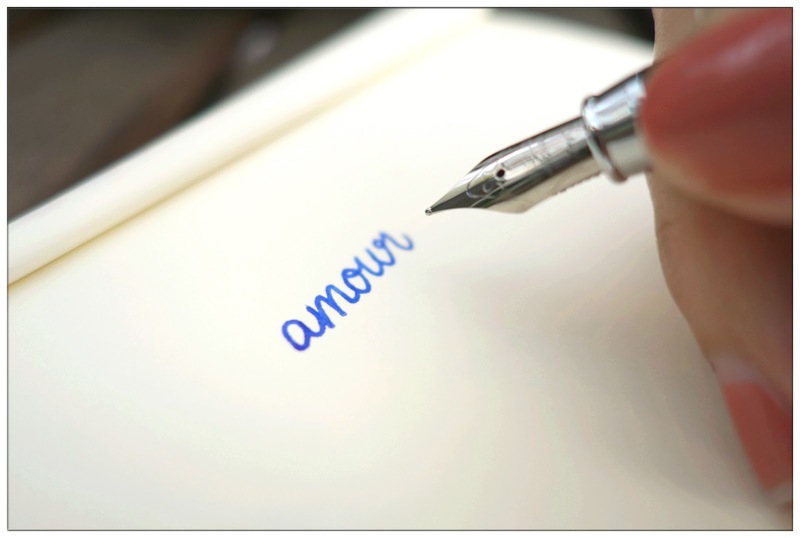 I was excited when I found that Daiso actually carry fountain pen with blue ink cartridge. I told Fei I just have to buy it! 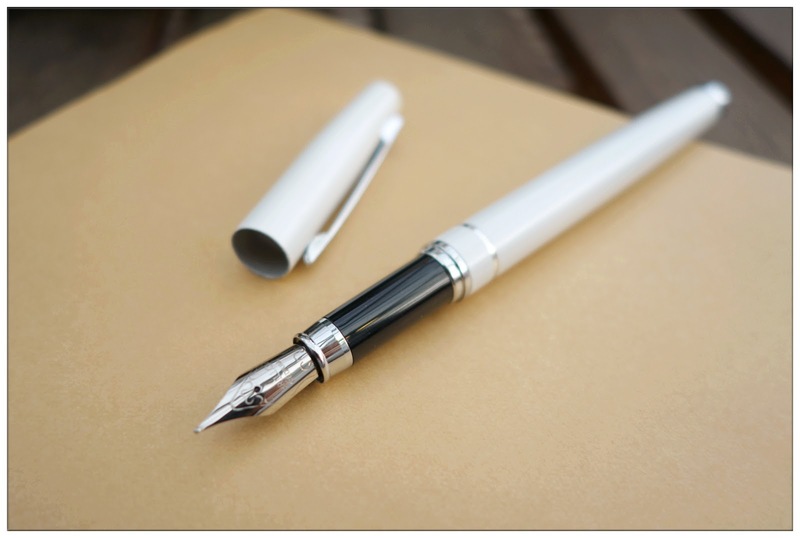 The design looks pretty elegant too for a fountain pen at such price. The only problem is that I can't seem to find any refill cartridge selling separately at Daiso. lol. Back of the paper that was written with the fountain pen. 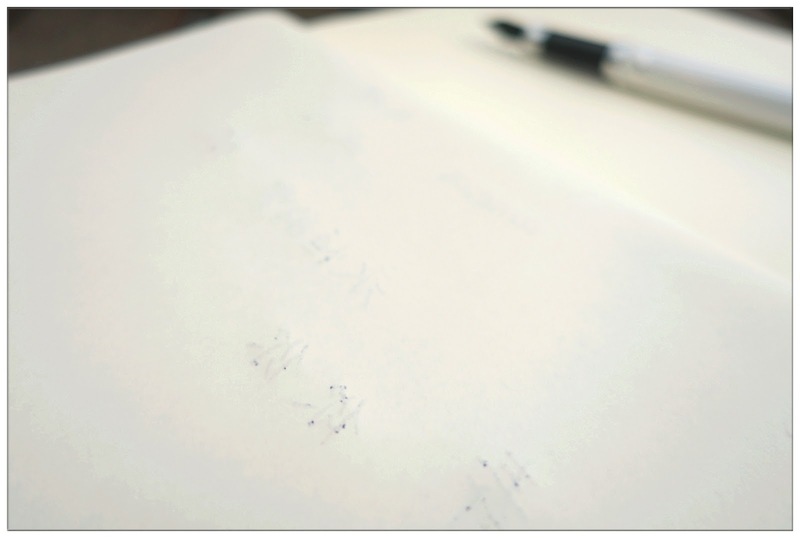 I'm using notebook from Muji. It does made up as an aesthetic writing instrument of some sort. 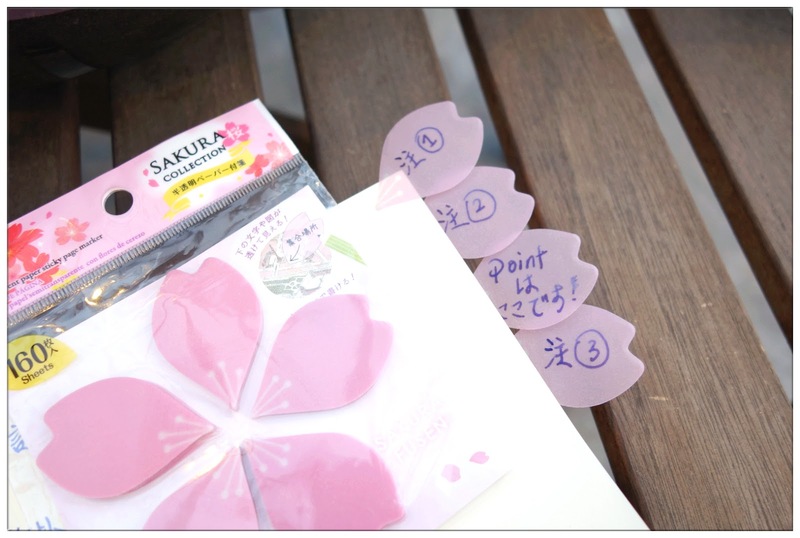 This paper marker reminds me of the popular Bande sakura washi tape that was sold out everywhere in Japan. Since I can't have the washi tape, this paper marker sorta comfort me in some way. 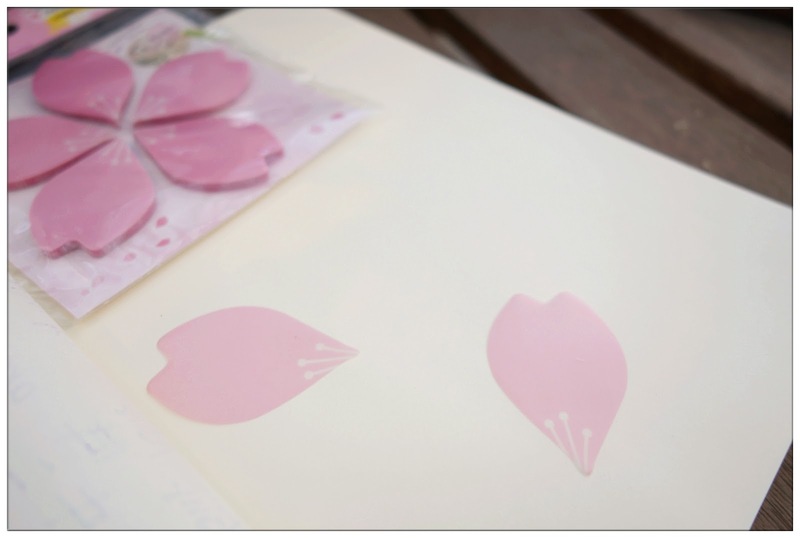 It contains 160 sheets of petals, just peel off one by one and stick wherever you want. 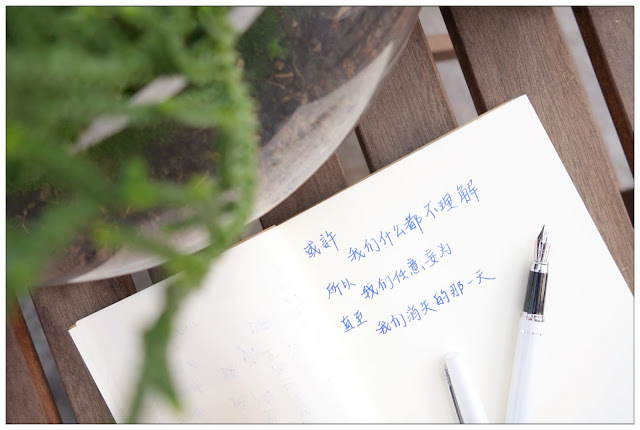 It is made by quality vellum paper which is semi-transparent and yet not easily bend as normal paper. Each petals is quite thick and sturdy, and it instantly light up my notebook the moment I stick them on it. Is okay that I don't get to watch sakura at Japan, I'll create my own sakura paradise inside my notebook. Last but not least, an impulsive purchase because... RM5.90 can buy you a box of 20 colour pencils? You must be joking right Daiso? I rarely use colour pencils as drawing medium because I like watercolour more, but this product is totally irresistible and I would like to do some mix medium if possible. 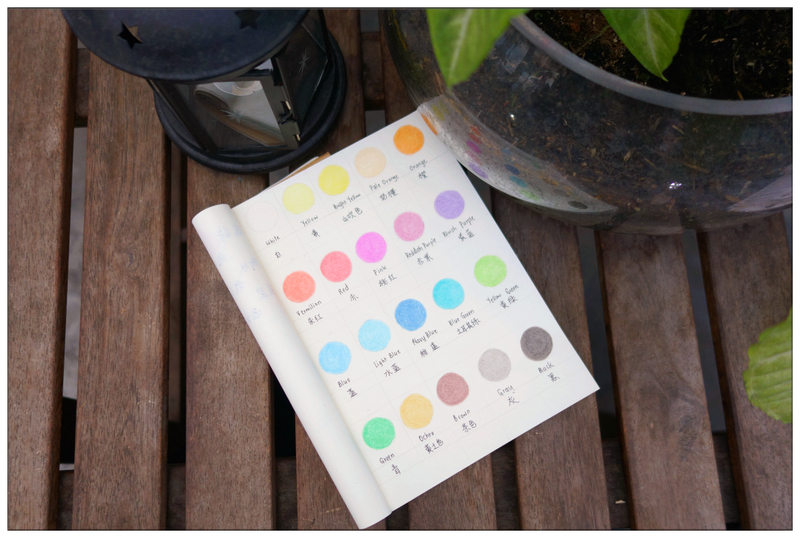 Hence I made a colour chart for future reference. 20 colours, what say you? 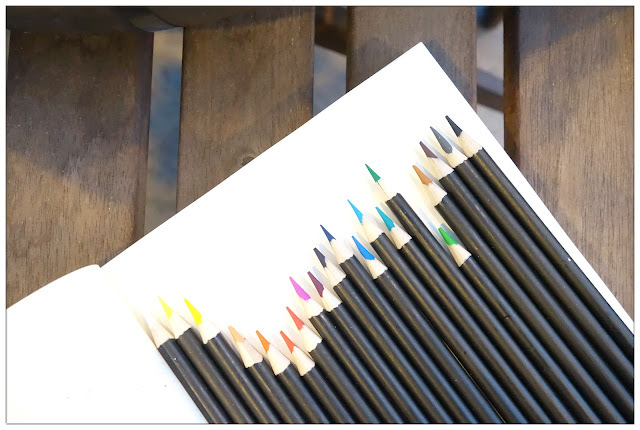 In a black coated thin body, the colours are more subtle compare to other colour pencil brands that are available in the market. It has strong core compare to some as it doesn't break easily while I'm colouring which I really have to give credit too. God knows how much I hate when colour pencil break on me while I'm colouring! Fancy colour available, I guess it pretty much worth every cent spent on this box. 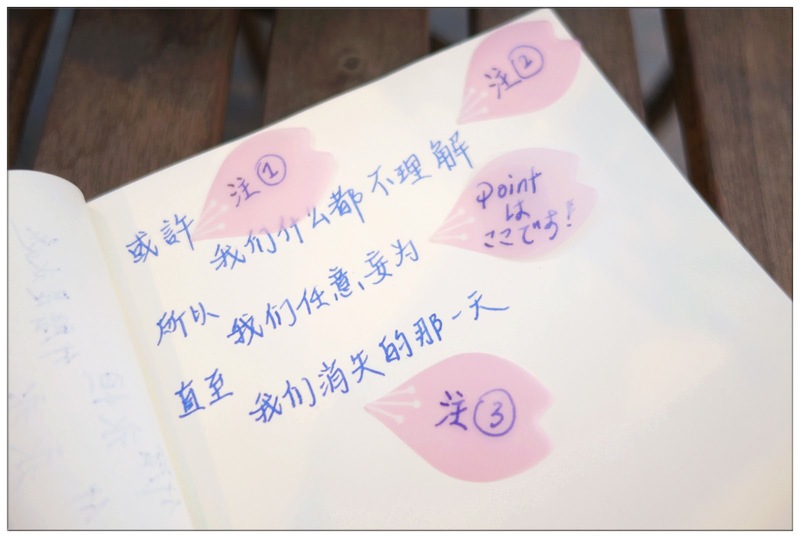 Sometimes we don't need to splurge on fancy, expensive, hipster branded stationeries just trying to look good (or instagrammable) because when it comes to writing/drawing, it is what from within that counts. Ideas, inspiration, creativity, method of execution, and perseverance, these are essential elements that made our works a true masterpiece instead of our writing/drawing instruments. So don't look down on yourself if you're using a RM1 ballpoint pen or in this case, a RM5.90 fountain pen just because you're currently unable to afford a LAMY fountain pen, it is what you're doing with the RM5.90 fountain pen that counts. So draw/write on, let your creativity flows and one day it will take you to the place that is worthy of your effort for not giving up.